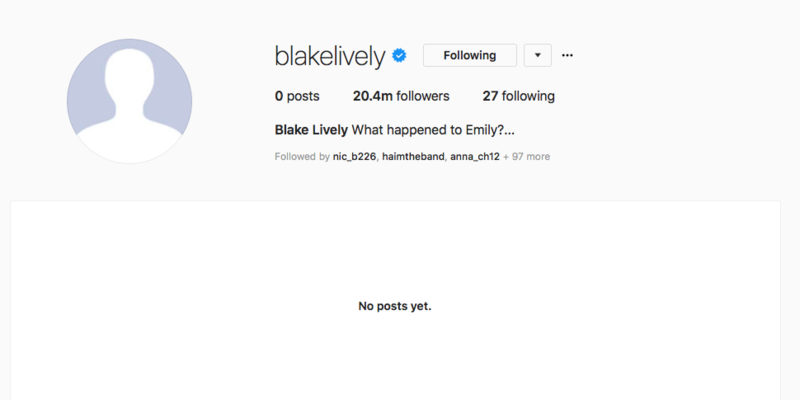 Blake Lively has deleted all photos and videos from her Instagram account, leaving everybody confused in the process. The Gossip Girl actor – who’s been very active on social media – mainly trolling her husband – has removed everything, including her profile pic. Yesterday, (April 30), Lively posted a photo of a completed game of hangman, the answer to which was a question: ‘What happened to Emily?’, which is now her bio. That post has now been deleted. In another bizarre move, Lively now follows 27 people – all with the name Emily Nelson. A few fans speculated the move could be something to do with her upcoming film, A Simple Favor. The film, which is directed by Paul Feig and stars Lively, along with Anna Kendrick, is an adaptation of the book by the same name, in which a woman named Emily Nelson mysteriously vanishes. Probably the reason for this stunt? Does anyone want to tell me why Blake Lively followed me and had this as a bio? Goodbye cruel world some hacker is anti-Emily, my time has come. 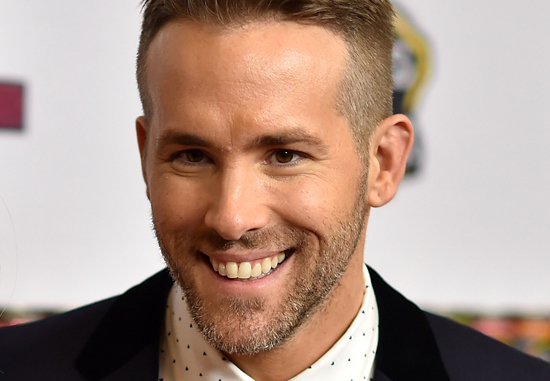 Nelson quickly tweeted again, noticing Lively’s husband Ryan Reynolds, had ‘liked’ her tweet, sharing her excitement. ALRIGHT SO LONG F*CKING LOSERS MY EGO IS ETERNALLY THROUGH THE ROOF BYE. Others believed it to be the ‘best promotional campaign’ ever. A Simple Favor centres around three small-town characters: a blogger (Anna Kendrick), her best friend (Blake Lively), who disappears suddenly, and the latter’s husband (Henry Golding). The story includes betrayals and reversals, a dead body and the revolving question of who is duping whom. It’s set to hit US theaters on September 14. It’s unsure whether Lively’s Instagram will be fully reinstated – I don’t know whether it’s even possible. Lively and Reynolds are constantly on at each other (jokingly, of course) on the social platform so it’s a shame some of her posts are no longer. Recently, the Hollywood couple found themselves having to address split rumours, with media reports suggesting they’re struggling ‘to find quality time together’ because of their work schedules. Reynolds decided to shut down the rumours on Twitter taking aim at the IB Times highlighting their hypocrisy. Following the tweet, Reynolds referenced a Yahoo! Entertainment article which tweeted a link to an article which very briefly mentioned the divorce rumours. Both films look set to be a good watch.